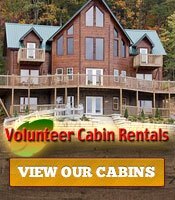 Rent a cabin and spend Thanksgiving relaxing with your family. In November and December, when there&apos;s a pleasant chill in the air, there&apos;s nothing better than building a fire or wrapping up in a blanket to take in the mountain vistas from your front porch. 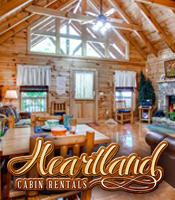 Rental cabins have everything you need to cook your own Thanksgiving feast. Choose a large chalet with a gourmet kitchen and enough seating for your entire extended clan, or pick a cozy cabin that&apos;s perfectly suited for just your family. Don&apos;t want to cook? Local groceries and gourmet markets offer takeout Thanksgiving meals with all of the traditional favorites. Plus, Smoky Mountain restaurants are famous for home cooking and delicious comfort food. You may want to skip the dishes altogether and linger over your holiday meal at one of our local eateries. They&apos;ll be happy to box up leftovers so you can indulge in another round of pie and turkey later that night. 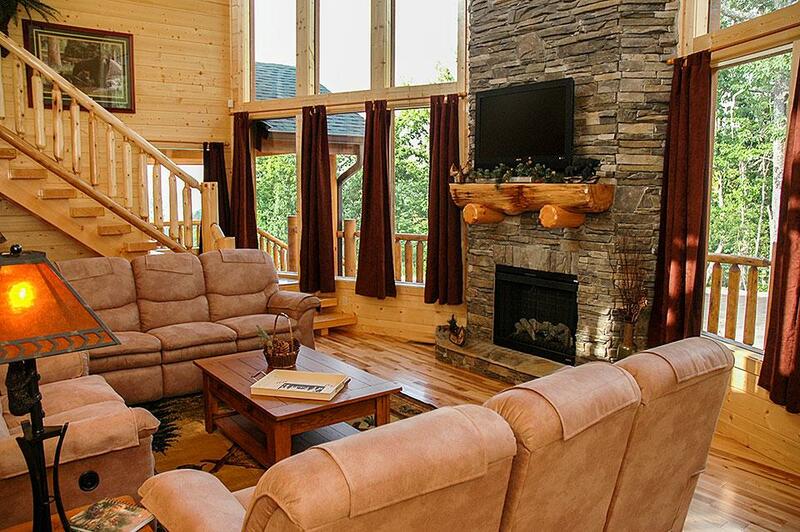 Don&apos;t worry, football fans; most Smoky Mountain cabins feature state-of-the-art TVs with all the stations you need to find your team. Some even come with enormous media rooms so you can create your own VIP suite. In the Smokies, we don&apos;t wait until after Thanksgiving to start reveling in twinkle lights. The annual Winter Magic Festival begins November 9 and runs through the end of February 2017. Take a walk through downtown Gatlinburg or ride the trolley to bask in displays that include 3 million sparkly lights. While Winter Magic is in full swing in Gatlinburg, Winterfest lights up in Pigeon Forge November 8 through the end of February 2017. The Winterfest Trolley Tour of Lights is so much fun that you may find yourself coming back the next night. Trolleys are enclosed and heated, and guides are famously entertaining. While you&apos;re out and about, get a head start on your holiday shopping at the Great Smoky Thanksgiving Arts and Crafts Show (November 22 – 27) or the 2016 Christmas Craft Show (November 28 – December 4) at the Gatlinburg Convention Center. Choose one-of-a-kind handcrafted gifts created by local artisans, including handmade quilts, ceramics, paintings, musical instruments, toys, jewelry, and more. Once you spend Christmas in the Smokies, it may become a new family tradition. Rent a chalet and savor a family ski getaway, shop for unique gifts made by local artists and craftspeople, and browse quaint boutiques for the perfect treasures. After the gifts are wrapped, spend Christmas Eve together by the fire, attend a local midnight service, or just ski to your heart&apos;s content. 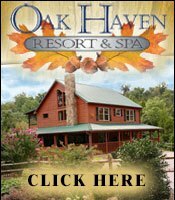 If maid service is your idea of a relaxing vacation, the Smoky Mountains have plenty of luxurious hotels and hotel suites where you can spread out and enjoy spending time together. Quality Inn & Suites at Dollywood Lane offers large family suites with private balconies, whirlpool tubs, and fireplaces. At this well-located inn, you can splash in the indoor pool and hot tub, take the free trolley to Pigeon Forge restaurants, attractions, and Winterfest activities, and wake up to a free hot breakfast every morning. During the holidays, be sure to visit Dollywood&apos;s Smoky Mountain Christmas Festival, consistently voted America&apos;s Best Christmas Event. This family-friendly event will wow you with millions of holiday lights and exciting seasonal performances, including Dollywood&apos;s "A Christmas Carol," a modern adaptation of the Dickens classic. A hologram of Dolly as the ghost of Christmas Past is a consistent crowd pleaser. 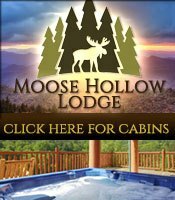 Whether you rent a cozy cabin, a spacious chalet, or a luxurious hotel suite, spending Thanksgiving or Christmas in the Great Smoky Mountains is sure to be a memorable family experience. When you take a holiday vacation in the Smokies, you can dial the energy up or down to match your family&apos;s preference. Keep your holiday low key with games by the fire, mountain strolls in the crisp air and memorable meals at some of our famous local restaurants. Or add some excitement with a trip to Dollywood, Winter Magic, Winterfest, or a ski resort. The Smokies are an enchanting place to spend a family-friendly Christmas or Thanksgiving. Enjoy distinctive shopping, mouthwatering food, and holiday entertainment surrounded by the captivating beauty of the mountains.